Sticky notes are an office supply that no business or school can do without. Easy to use, they are a fast and convenient solution for taking quick notes or writing down information that will be needed later. Simply write down the information on the notepad with your favorite pen, pencil or marker than peel it off to stick where you will be able to reference it whenever you need it. The self-stick side of each sticky memo note will keep it in place until that information is required. Stick it into (or onto) notebooks and journals to highlight important notes or add to a bulletin board as a reminder at work or at home. 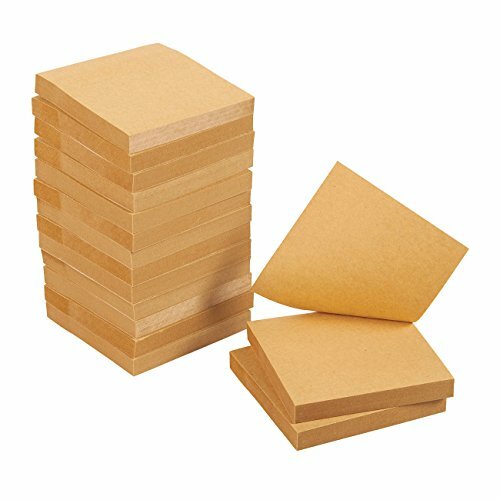 STICKY NOTE PADS: This pack of 15 note pads contains 100 sheets per pad. Perfect for leaving messages, making notes and writing important memos or reminders on. DIMENSIONS: Each square note measures 3 x 3 inches.